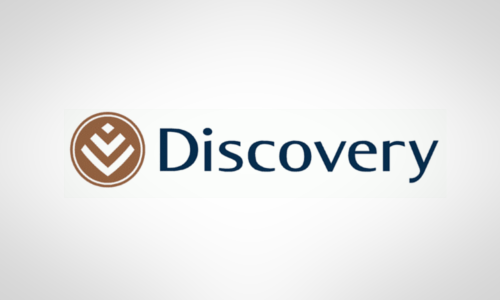 InsuranceFundi | Discovery Keycare 2019 | Is it the right choice for you? Discovery Keycare 2019 | Is it the right choice for you? Boitumelo isn’t your average young women starting her first job. She’s also the head of a single parent household with a young son to take care of. Her story gets a lot more complicated. Her son lives with her mom in the Transkei while Boitumelo stays in Gauteng. Her son is often sick and it’s important that he see the doctor regularly. Problem is that everytime her son gets sick, her mom must leave home at four in the morning and queue at the local clinic for the whole day. Boitumelo wishes she could afford a medical aid, but medical aid is expensive and complicated, isn’t it? Truth be told, Boitumelo can’t afford to spend a Rand more than R2,000 a month. A basic hospital plan – without the medical savings account – would cost her R2,163 a month next year (2019). Where would that leave her if her son needed to see a doctor and not a hospital? The third problem Boitumelo faced, was that her mom isn’t smartphone savvy. Was there a solution to Boitumelo’s dilemma? Indeed, there was. The KeyCare range suited her budget perfectly. Now the problem was deciding on which one would best suit her needs. KeyCare plans are focussed on providing affordable health care for those taking baby steps and joining a medical scheme for the first time. Size wise, KeyCare is the third largest medical scheme open medical scheme in South Africa with more than 400,000 beneficiaries – So, you’re in good company if you join. KeyCare works differently from all the other plans available at Discovery. The cost of KeyCare depends on your monthly income, the more you earn, the more you pay. However, everyone enjoys the same benefits regardless of income. This is what most know as a hospital plan. You must use a KeyCare networked hospital, and don’t worry…they’re all private hospitals, and there are a ton of them all over the country. Chronic illness benefits are also provided and these can be prescribed by any KeyCare networked GP. The private specialist cover is limited to R4,050 per person. The KeyCare Start Plan is best of both. KeyCare Access has been rebranded as KeyCare Start and slots in between the KeyCare Core and the KeyCare Plus plans. Here you must use a chosen KeyCare Start networked private hospital, BUT you also get to visit a KeyCare Start network doctor and have access to medicine on the medicine list. Chronic medication, chronic dialysis & cancer treatment are provided through state facilities only. A “hub and spoke” system has been introduced based on regions. The “hub” will be a KeyCare Start hospital offering all the medical services needed. This “Hub” is surrounded by the KeyCare Start GP network and a network of other healthcare professionals offering benefits like dentistry, optometry, day surgeries, and after-hours casualty care at your KeyCare Start GP. This network is connected to the “Hub” through a referral system (Spokes) to ensure your health condition doesn’t slip through the cracks. 2 out of network visits to a KeyCare Start GP are also allowed. For instance, if you’re on holiday in another province. Finally, we get to the most comprehensive of the three plans – KeyCare Plus. This is what Boitumelo decided to go with. Basically, this plan allows you to use any KeyCare networked private hospital and to visit your chosen KeyCare networked GP as often as needed. Casualty visits are covered at KeyCare networked hospitals with a casualty department once it’s been authorised and a co-payment of R355 has been made. While on the topic of hospitals, there is also a list of partial cover hospitals and day surgery networks. With the partial cover hospitals, KeyCare will only pay 70% of the bill, so we’re not sure why you would want to use one. Maybe it has to do with the specialist only working from that hospital? Cancer treatment, chronic dialysis, and chronic medications are all provided through state facilities on KeyCare Start, and through network providers on the KeyCare Plus option. Chronic medication is dispensed through your KeyCare networked GP or through a network pharmacy. Specialist visits on KeyCare Start are limited to 2 per year at R2,000 per visit if referred by your KeyCare Start GP. On the KeyCare Plus plan, you are covered up to R4,050 per person if referred by your KeyCare networked GP. Boitumelo managed to get cover for both her and her son at R1,919 a month just because she earned less than R13,051 a month. If she had earned a Rand more than R13,050 per month, her payment would have been R2,851 a month. In the end, it all turned out well for Boitumelo. Click on the link below to download a copy of our Discovery Health cost comparison spreadsheet. I am not allowed to answer my phone at work. Please send me details regarding the keycare start plan to my email address. Where do I find the start network hospitals? Hi Beulah, many thanks for your enquiry. Please expect correspondence via email from our Discovery agent.